Used Audi A4 Review - 2000-2005 | What Car? 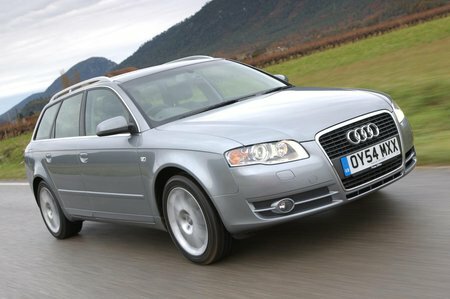 Which used Audi A4 estate should I buy? The smallest motor is a 100bhp 1.6 petrol, which is feeble for such a heavy car, while the biggest is a 3.2 V6 screamer with 243bhp. In between live the best real-world choices: a 129bhp 2.0 and a 160bhp turbocharged 1.8. Diesels range from a 1.9 to a 3.0 V6 and, of these, the 140bhp 2.0 is the pick and our favourite for the car. It's smooth and packs plenty of low-rev punch. The manual gearboxes change smoothly and precisely, while the autos are among the best anywhere. There's a broad choice of models with Audi's quattro 4x4 system. Base-level trim brings a full safety specification and a fair few gadgets, but our preferred SE adds in luxuries such as climate control. S-line models provide the full sports/luxury treatment. Franchised dealers have the pick of top-trim cars, but at punishing prices. The best value lies with independent dealers specialising in the marque.